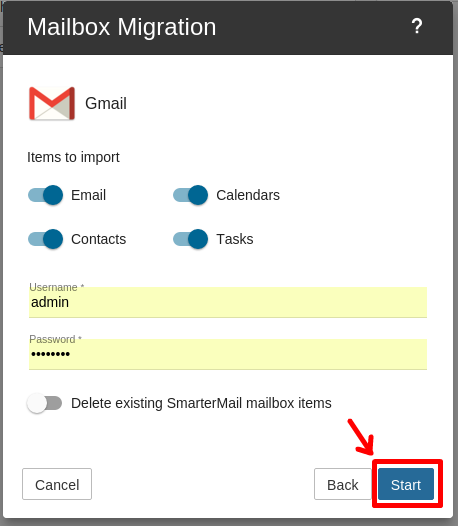 Migration of emails/contacts/calendars via SmarterMail can be achieved by using the Mailbox Migration Tool. The Mailbox Migration Tool makes switching email providers easy by importing email, contacts, calendars, tasks, and notes to SmarterMail from most third-party mail servers. 1. To access the mailbox migration tool, please first create an email account from your SolidCP interface. You can follow this tutorial for more details Email Creation. 2. After the email account is created, please login with it to your webmail interface using the http://mail.domain.com (domain.com being your actual domain-name), or if your domain is not pointed to our server the Mail Server Hostname http://cmx$.my-hosting-panel.com. Note: The mail server hostname can be found following the steps described here Mail Server Hostname. 3. Once you are logged in, please click on the Settings icon. 5. 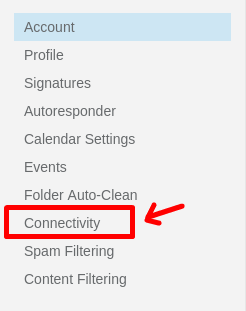 On the next page, under Mailbox Migration click on the blue Button. 6. 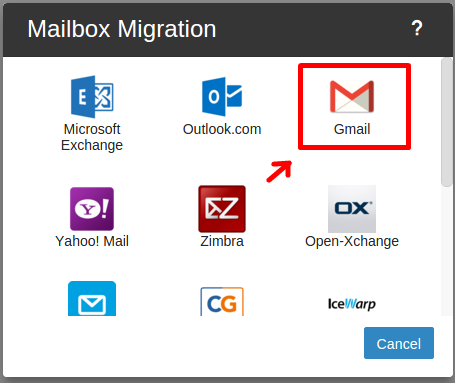 On the new mini-Window choose the mail server from which you wish to migrate and click on it. 7. Login to the mail server with your credentials and click Start to start the migration.